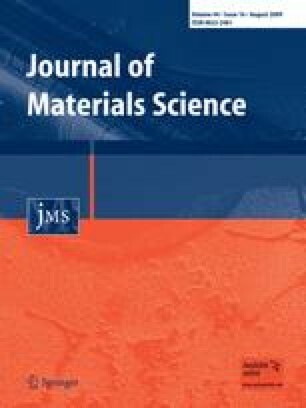 The (1 − x)Bi(Zn1/2Ti1/2)O3–xPbZrO3 solid solution ceramics were prepared by using solid-state reaction method, and their ferroelectric properties were investigated. It was found that the perovskite structure is stable for compositions with x ≥ 0.900. Within this composition range, the crystal structure of the solid solution preserves the orthorhombic symmetry of PbZrO3 (PZ). The Curie point of the ceramics was found to decrease with increasing Bi(Zn1/2Ti1/2)O3 (BZT) content. The intermediate ferroelectric phase of PZ was stabilized by BZT addition and exists within a much wider temperature range in the solid solution. This study was supported by the National Science Foundation through the CAREER Grant DMR-0346819 and the Thailand Research Fund (TRF), the Commission on Higher Education (CHE), and the Faculty of Science, Chiang Mai University, Thailand.